Those “damn emails.” One could have thought that epithet was a clever strategy to ingratiate a stranger at the party to the anointed one’s retinue, pending the results of the FBI investigation. But “clever” would be wrong. When those FBI results were finally announced on the eve of the July Conventions, the new Bernie Sanders was so distracted doing his “awkward dance” to the tune of that damn Platform that one might even think he was totally unaware of the loss of his last best chance to win the Democratic nomination. It had been snatched from him in broad daylight by an FBI fix. Sanders did not object. It has been written that, to Clinton, politics is war. Sanders had been taken prisoner. Republicans appeared far more disturbed than Sanders about Clinton sewing up the nomination by beating her secret server rap on a dubious legal technicality. Polls have consistently shown Sanders, not Clinton, to be the strongest candidate to beat their guy. One might have expected not Republicans, but Sanders, and obsessed Trump-haters, to be out front on this issue. But it’s 2016, when the “progressive” revolutionary has endorsed the establishment plutocrat. Anything can happen. Like Tea Party Republicans effectively investigating a political fix. The not-so-super Democrat delegation indicated they still stood with “Crooked Hillary” on the FBI fix by booing unclever Bernie the next morning. It apparently never occurred to Sanders that these super-Delegates he was courting for support at the Convention had been fixed themselves. Rather than try to persuade them, Sanders should have gone over their heads to the Convention’s pledged delegates to make them disclose their conflicts of interest and recuse themselves. Instead he arranged for his formal surrender to Clinton in New Hampshire on July 12 for reasons that did not make much sense. In the Thursday, July 7, “emergency” congressional oversight hearings, FBI Director James B. Comey was questioned closely about his unprecedented Tuesday press conference and Statement which presented the Bureau’s mutually contradictory factual and legal conclusions from its long-pending investigation of the Clinton “Servergate” scandal. Republicans under committee Chair Jason Chaffetz (R-UT) conducted a professional, informed and fair interrogation of Comey that considerably advanced the debate whether, as Secretary of State, Clinton committed the kind of crime for which others have done time. Democrats played identity politics and whined about partisan polarization, leaving Republicans to make a solid case that she had. FBI Director Comey’s less than convincing legal justification for his decision not to indict Clinton opened far more lines of inquiry than it closed. The purpose of this article is to assess that justification in detail, based in part on, but not limited to, Congress’ initial inquiries. Before going into those details, a useful general introduction to the subject can be provided through Rep. Trey Gowdy, (R- SC), a former federal prosecutor. He walked Director Comey systematically through the false statements that Clinton told his Benghazi Committee in October. This evoked a sworn on-the-record FBI endorsement of what amounted to several counts of a potential criminal indictment of Clinton for making false statements under oath that the FBI had not considered in its investigation. Having virtually framed the indictment of Clinton for lying to Congress, Gowdy then delivered a Socratic lesson to Comey on the subject of how such “false exculpatory statements” by Clinton, along with Clinton’s pervasive and “complex scheme that was designed for the very purpose of concealing the public record,” could have been used in the “Servergate” case to prove her requisite criminal intent, which was the supposedly key element of the crime which Comey claimed the FBI could not find. Gowdy completed his attack on Comey’s central evasion for not indicting Clinton by instructing him of the fact that intent is rarely proven by direct evidence, such as Comey seemed to suggest was needed. “You have to do it with circumstantial evidence,” Gowdy said. Gowdy outlined in less than five minutes for Comey what the FBI was somehow unable to piece together during what Comey proudly claimed was 3 years’ equivalent of investigatory work. The impression given by Comey’s testimony was that more of that time was spent developing the Obama administration’s elaborate political fix, revealed below, than gathering facts to support the criminal case against Clinton. Similar circumstantial evidence has supported convictions in recent cases. In the notorious case of Jeffery Sterling, the Department of Justice was able to imprison a CIA agent on the sole basis of circumstantial evidence amounting to little more than speaking to a reporter (Risen). The case was partially motivated by retribution for Sterling’s racial discrimination claim against the agency. Another entirely circumstantial case was made against a mid-level bureaucrat for talking with another reporter (Rosen) without any direct proof of intent, let alone of any unlawful transfer of particular information. It may be only a coincidence that Lynch was appointed Attorney General by Obama very shortly after Clinton started deleting her “Servergate” files in February 2015. And it may be a coincidence that Comey, who had no prior experience with the Bureau but much experience with politicized legal issues, was appointed its Director shortly after the time in 2013 that Clinton’s potential crime was first coming to light. But was it a coincidence that Obama failed to appoint a State Department inspector general during all four years of Clinton’s tenure as Secretary of State? Or, at least in hindsight, was that grossly negligent, especially in light of the Clinton families’ known conflicts of interest during that whole period? Comey’s opinion delivered in unprecedented fashion was that commission of the crime detailed in the FBI’s investigation should nevertheless not be prosecuted because of insufficient evidence of “intent” by Clinton. This opinion was not only based on a failure to marshal available evidence, as Rep. Gowdy pointed out, but also multiple misinterpretations of well-settled law, as discussed in later sections. Comey’s announcement also prejudices any future prosecution the Justice Department might have decided, or may still decide to pursue in the future, unless Comey’s opinion is firmly discredited as an the historic abuse of the FBI Director’s authority that it is. In the judgment of Matthew Miller, a former Justice Department official, Comey’s performance was “a gross abuse of his own power,” in part because he “substituted his judgment for that of prosecutors.” The FBI’s autocratic legend who was not shy about expanding the powers of the Bureau, J. Edgar Hoover himself, decreed: “We are a fact gathering organization only. We don’t clear anybody.” Sixty years later, Comey has now added a corollary to this Hoover rule: “except a Clinton,” when necessary to determine the next president. Comey’s unprecedented polemic (it cannot be dignified as legal analysis) about Clinton’s intent violated the general rule that one does not ever speak publicly about a pending investigation or litigation because it can distort due process. He engaged in dramatically improper conduct for political purposes. It is one reason why Comey should be at least fired, if not formally reprimanded or impeached by Congress for his historic intervention in presidential electoral politics. The argument for impeaching Comey is that if Comey does not suffer serious consequences in public, the Clinton case cannot be effectively prosecuted. He has spoiled the case, by failing to faithfully execute “the Laws.” (Art. II, Sec. 3.) He has also established a dangerous precedent for abuse of FBI power that needs to be soundly rebuked. Since he is not an elected official, that is difficult to do in any other politically responsible manner than the constitutional process for checking inappropriate executive action, an impeachment vote by the House of Representatives. (Art. II, Sec. 4.). His errors in stating the governing law on which he based his institutionally improper opinion provide yet other reasons for disciplinary action. His advice to the American people and Congress on the law of intent was so distorted, however cleverly it may have been presented, as to constitute either malpractice or a breach of his professional duty to serve the interests of the United States, not of the Clinton family. This impropriety of the chief federal investigator acting as prosecutor, judge, and grand jury arose out of the context where Comey’s boss Loretta Lynch had said she would abdicate to the FBI her duty to make the legal decision on the Clinton case, rather than simply recuse herself for her ethical lapse in holding a secret ex parte meeting with a potential target and surrogate of the main target of the investigation. By making the legal decision himself rather than properly leaving it to senior Justice Department lawyers and Attorney General Lynch, Comey clearly did a political favor not only for Lynch but also for President Barack Obama, who also has a flair for prejudging pending cases, as he did this one. Both Lynch and Obama would otherwise have had to take political responsibility for a distorted legal analysis, before an historically dissatisfied electorate, for an unpopular and controversial partisan political decision, the first of its kind in U.S. history. Both had conflicts of interest as political partisans of the same stripe as Clinton. Obama would have effectively pardoned his endorsed successor for preserving his plutocratic legacy. Lynch would be exonerating her potential future employer, who may well eventually appoint her to be the first black woman on the Supreme Court, much as her husband had appointed Lynch to be US Attorney. The unknown, nominally Republican, Comey could more easily take the heat that would otherwise be directed at Lynch and Obama. AG Lynch’s rehearsed, run-out-the-clock, stonewall demonstration before the Committee of her “prodigious dissimulation skills” (Franks,1:50) in furtherance of her abdication bordered on contempt of Congress. She acted out the purpose of her delegation to absolve herself, and by implication of the chain of command, Obama, of responsibility for the fix. On the merits, Rep. Gowdy, who knows how to conduct cross-examination, could not get a straight answer from Lynch to the simple question of why a “specific intent” standard was applied by the DoJ when the statute does not provide for it. That is the central issue raised by the fix, but Lynch had no opinion on it. Lynch’s riposte to nearly every question was that her sole decision was to, in effect, abdicate her duty and that questions on the details should be referred to Comey. Fingerprints of politicians other than Comey were thus wiped clean. Comey’s public recitation of facts sufficient to indict denied Clinton the opportunity, by indicting her, to controvert those facts in court. This form of state slander was undoubtedly the price Comey had to pay to prevent mutiny from the professionals inside his Bureau. Had he suppressed the facts while performing his political fix, it would have appeared that the FBI had failed to do its job. One former spy who is closely following the case suggested that “there are high-ranking spies who [we]re perfectly willing to leak the sordid details of …. exactly what Hillary Clinton did,” had Comey failed to make a credible accounting. He reconciled the conflict between professionals in the Bureau and the fix by stating the indicting facts while inventing a legal technicality to avoid indictment. Comey was able to make a political decision appear to be a technical decision of an apolitical branch of government by basing it upon his peculiar views of the evidence necessary to prove intent, at least in this one case. Comey first recited facts that have long been known by the public to support the conclusion that Clinton had been “extremely careless” with government information. He admitted these facts contradicted exculpatory public statements by Clinton. Comey then delivered the contrary operative finding that “we did not find clear evidence that Secretary Clinton or her colleagues intended to violate laws governing the handling of classified information.” As Rep. Gowdy explained to Comey, one of the errors behind this technical decision about intent was that it failed to take proper account of the inferences to be drawn from the circumstantial evidence of Clinton’s intent to break the law. Among the other lapses of judgment that Comey defended, he did not think it germane to an assessment of her intent that Clinton, and nine of her former top aides, refused to be interviewed by the State Department inspector general. A person of innocent intent would have no reason to avoid such an interview by her former employer on a matter within the legitimate scope of her employment. That her top aides circled the wagons is further evidence. Comey’s refusal to comment on the existence or not of a related Clinton Foundation investigation suggests that, contrary to speculation, the very public allegations of Clinton’s handling of her systemic conflicts of interest were not part of the secret server investigation. Such a joint investigation of the two potentially related matters would have justified the delay of FBI’s investigation. Not taking into account the Clinton Foundation line of inquiry, however, excluded consideration of a potential motive for Clinton’s prioritizing over keeping the nation’s secrets, instead, keeping her copious “private” emails secret from the government. About half of the total emails were allegedly private, representing a quite intensive “private” life for someone in such a responsible public office who is not overly into computers, as Comey claimed. This allocation of attention would be consistent with the widespread allegation that Clinton was busy serving her family Foundation fortune at the same time she was serving the public. See Peter Schweizer, Clinton Cash: The Untold Story of How and Why Foreign Governments and Businesses Helped Make Bill and Hillary Rich (2015). Investigator Greg Palast points out that notionally private communications – so designated because addressed to Clinton’s family members and their conflicting business interest — did nevertheless involve the official business of selling the country’s foreign policy in exchange for “contributions” to the Clinton Foundation. That potential motive would have been more nefarious by far than the motives that Comey does approve for prosecution in other cases, such as whistleblowing on matters of mismanagement or torture. The damage done may also have been greater. William Binney, a former high-ranking NSA official, claimed that the “rather devastating compromise of technical capability and a commensurate loss of high value intelligence” from just one 2011 Clinton email released by the State Department may be “difficult for the public to understand and comprehend, but it is … much worse than what Julian Assange or Chelsea Manning or any of the other whistleblowers have done.” The email wasn’t redacted because it was sent to Clinton by Sid Blumenthal, a private citizen with no security clearance. But as shown in many other emails he sent to Clinton, he somehow had access to the latest top secret NSA information that revealed the NSA’s sources and collection methods. In the July 7th oversight hearing, Comey did not demonstrate a full grasp of relevant facts, such as who paid for Clinton’s server. He did not personally interview Clinton nor did he talk with all of the “five or six” agents who did. Another painfully obvious example deliberate ignorance was revealed when Rep, Meadows asked Comey, “did [Clinton] contradict some of [her] public statements in private? Because you said she didn’t lie to the FBI, but it’s apparent that she lied to the American people. So did she change her statements in [her] testimony with you last Saturday?” Comey’s incredibly ignorant response was “I haven’t gone through that to parse that…” Rep. Meadows requested “Can you do that and get back to this Committee?” When again asked, by Rep. Mulvaney, “why she told y’all one thing and told us another?” Comey replied “I don’t know as I sit here. I mean, I can — I’ll figure that out,” even though he agreed “that [information could] have been of interest to [the FBI] in helping to establish intent.” This inquiry demonstrated that Comey had failed to consider the obvious circumstantial evidence of intent contained in the FBI’s own interview. But he had already fixed that he could not effectively “parse” the interview or use it as admissible evidence of intent when he decided to conduct the most important interview in the Bureau’s history essentially off the record. This inquiry amounted to Congress asking the FBI to apply one of its most common enforcement tools, trapping people into making false statements, as if it were some novel approach that the FBI had not thought of before. It will be important to monitor whether Congress will insist that Comey satisfy Rep. Meadows’ request, and fulfill his promise, to “figure that out” why Clinton is not being prosecuted for false statements to the FBI. Due to repeated professions of ignorance of this kind, Comey’s formula that he did not “find clear evidence” was less than convincing that he had looked in the right places. Comey’s finding was not that Clinton’s conduct did not possibly violate the law, but rather drawing a legal inference from Clintons’ excuse amounting to “Whoops, sorry, didn’t mean to, didn’t know, won’t do it again.” Voila! For Comey, no intent; no crime. As Gowdy’s questioning suggested, if, when Comey used the word “clear” to describe the quality of evidence of intent that he was looking for, he actually meant “direct,” that kind of evidence almost never happens in the real world. The evidence of intent, unless clarified by confession, is always inferential, circumstantial, and indirect, not “clear” in a possible colloquial use of that term that Comey seemed to employ. He admittedly used the same tactic of substituting a colloquial (“common sense”) term when evasively substituting “extremely careless” and other terms for the legal concept of gross negligence, as discussed below. Since “clear evidence” is not a legal term, the country is left to guess what Comey’s subjective meaning for the term is. The impression left by Comey, which Gowdy forcefully challenged, was that indirect and inferential evidence was not considered by Comey to be “clear” evidence, and therefore Clinton could only be indicted if she confessed. Indeed, Comey distinguished the very similar Deutch case on the grounds that Deutch had “admitted, ‘I knew I wasn’t supposed to be doing this.’” The idea that no prosecution can be maintained without a confession is of course the most arrant nonsense. Rep. Duncan reported that when he was a judge he “saw many cases where the evidence of criminal intent was flimsier than the evidence in this case.” But Comey has so far, at this initial stage of inquiry, gotten away with asserting the contrary. The kind of clarity that Comey was seeking would have to dispel his opinion about, among other things, Clinton’s apparent denial that she understood classification markings within a text of a document: “I think it’s possible — possible that she didn’t understand what a “c” meant.” Then Rep. Meadows questioned whether it is reasonable to doubt such a denial of knowledge, i.e., “wouldn’t a reasonable person think that someone who has the highest job of handling classified information would understand that?” Comey replied, “I think that’s the conclusion a reasonable person would draw. It may not be accurate.” One can observe Comey retreating here, from applying the legal reasonable doubt standard into some subjective standard of his own labeled “clear evidence” where what is reasonable might conceivably not be accurate. But the reasonable doubt standard is designed to exclude just such unfounded, unreasonable speculation that would be permitted by Comey’s improvised “beyond all possible doubt” standard. Provided Clinton did raise a defense of her own ignorance, which no jury would likely accept, if Comey was looking for other “clear” evidence of intent, he was looking for some abstraction that does not exist, and which the law does not require. No matter how much one looks no other direct evidence will be found without extraordinary investigatory measures. Comey was apparently not looking for it by using such surveillance measures. He did not disclose the existence of wiretaps or bugs to monitor Clinton’s private conversations for which he likely did have probable cause. To be sure, the public allegations accuse Clinton of treason, selling secrets to foreign countries. In the absence of surveillance evidence, the inferential and circumstantial kind of evidence that Gowdy recited, and which is commonly sufficient to convict of the intent element of all ordinary crimes where the issue might arise, was also not discovered under Comey’s leadership because it was that evidence which was apparently not “clear” enough for him to notice. Comey’s apparent distinction between “clear” and “circumstantial” would violate the law of evidence which draws no distinction or hierarchy in weight or value between circumstantial and direct evidence for purposes of aiding a jury’s search for the truth. In addition to Comey’s opinion about the lack of “clear evidence,” which lacks any basis in the law of evidence, he also departed from the traditional standard of reasonable doubt in favor of a subjective standard of his own, Comey’s new standard is premised upon his personal view that “the conclusion a reasonable person would draw…. may not be accurate.” This application of a super-reasonable doubt standard, “beyond all possible doubt,” is only compounded by his error in defining the legal element of intent which is discussed in detail below. Before discussing these additional legal errors, first, it should be pointed out that Comey offered his opinion on these matters to support his “judgment … that no reasonable prosecutor would bring … a case” for Clinton’s “potential violations of the statutes regarding the handling of classified information.” As mentioned, this judgment went beyond Comey’s position as FBI director to give, and it was given on the basis of his own idiosyncratic legal tests on multiple issues. Comey’s characterization of these different categories of precedent will be discussed separately. Again, Comey probably did not “see those things” because he did not look, mainly because he was looking for the wrong thing, as already discussed with regard to his “clearly intentional” innovation. Clinton’s server did involve “vast quantities of materials exposed in such a way as to support an inference of intentional misconduct.” It was not just a mistaken channeling of a few emails through her separate personal email. It was systemic and vast removal of her routine official email traffic from secure government channels to her insecure private server domain used for her private/public hdr22@clintonemail.com address. This pervasive arrangement was therefore all but certain to expose national secrets. Clinton deliberately commingled the personal and the public, permitting her at her own and her lawyers’ discretion to later delete the public’s communications under the now unverifiable, and apparently inaccurate, excuse that she only deleted her personal communications. There is no reliable way of knowing what she deleted because the data was wiped nearly clean, which is yet further circumstantial evidence of intent. A fiduciary who commingles financial assets is guilty of crime. Clinton intentionally commingled real assets, national secrets owned by the public, with her private information, and put them both in her private insecure server. This violates several federal statutes. But Comey did not see this. What would be enough evidence of intent for a “reasonable prosecutor” to pursue a conviction for this violation is again left to Comey’s own subjective standard. An objective standard would be met, first, by restraining the FBI Director within the proper scope of his duties, then appointing a professional unbiased special prosecutor to separately and objectively assess the legal implications of the facts the FBI produced. The prosecutor should be free of political ties and conflicted interests, such as job retention or promotion in a new administration. Then the case should be presented to a grand jury by the independent prosecutor for possible indictment to determine its objective validity. That is the constitutional process to achieve objectivity in prosecutions of this political kind of matter. But as mentioned above, the case cannot now be prosecuted unless Comey himself suffers consequences for his improper and unprecedented conduct that relegated the legal and policy decision of whether to prosecute to his own subjective standards under the pretext of being a technical decision backed by the prestige of the FBI. Before anyone searching for such an independent prosecutor takes Comey’s word about his standard for “reasonable” prosecutors, they might want to first check with his FBI Sacramento office about whether they would agree with Comey that Assistant United States Attorney Jean M. Hobler should be considered unreasonable for successfully prosecuting the case of a reservist named Bryan Nishimura for “removing and retaining” on his private computer classified material acquired when he was serving as a Naval Engineer in Afghanistan. The FBI investigated this case as a violation of 18 U.S.C. §1924, and published a press release just one year ago lacking any suggestion that the FBI considered Hobler to be anything but a “reasonable prosecutor” for winning this case. Though not nearly as significant as Clinton’s similar conduct, this case was virtually identical as far as the element of intent goes. Intent was not an issue. In fact, the investigation of the Nishimura case found no motive “to distribute classified information to unauthorized personnel,” which is not quite true of the Clinton case. But lack of a wrongful motive was not a problem for the prosecution of Nishimura. Comey contended the Nishimura case could be distinguished when it was raised by a committee member at the hearing, but he did not actually say how. Congress needs to ask the Director to put together a dossier of similar cases that the FBI has investigated, and that Comey might have thought could be distinguished although their relevant facts are similar to Clinton’s case. Since in his July 5th presentation Comey said “we cannot find a case that would support bringing criminal charges on these facts,” we need to know if his definition of “these facts” include only relevant facts, or if he considers distinctions that are political or otherwise legally unpersuasive. Congress needs to ask Comey for all the available legal memoranda distinguishing such cases as the Nishimura case, or the John Deutch case, and others, so people can determine whether these cases really are so different in principle from Clinton’s case after they have a “complete accounting of the facts” which Comey claimed they do not now have, but which he does have. It is almost certain that none of the cases prosecuted under the relevant statutes prohibiting mishandling of government records could be distinguished with respect to the element of intent. Many commentators, including Representatives Gowdy, Chaffetz and other oversight committee members, concluded that Comey is operating within the framework of a two-tiered system of justice by providing an evasive justification of insufficient intent. In a pay-to-play plutocracy, the influence peddling political class shares one kind of law and everyone else has another. See Matt Taibbi, The Divide: American Injustice in the Age of the Wealth Gap (2014). At the same time that police are murdering people on the streets with impunity, the political elite in the capital is placed above accountability to the law. Comey has not only misled the public by his demand for evidence that Clinton’s violation of the law was “clearly intentional and willful” according to some subjective evidentiary standard of his own. More importantly, in his discussion of precedents, quoted above, he deliberately confuses these terms relating to intent with the separate concept of motive. Comey’s description of his search for precedent suggests that he was not really looking for intent, but rather different varieties of motives involved in cases where forbidden material had been placed on private computer devices, or otherwise compromised. As established here as his practice for sowing confusion in what amounted to a PR exercise, “context” is not a legal term. When he mentions the “context of a person’s actions” as an important variable, he is referring to motive, not circumstantial evidence of intent, the term to which he juxtaposes the phrase. As Supreme Court justices Alito and Thomas said in another context, Comey’s quoted statement about the controlling Justice Department precedent “confuses two fundamentally distinct concepts: intent and motive…. [O]ur cases have recognized that a lawful motive (such as necessity, duress, or self-defense) is consistent with the mens rea necessary to satisfy a requirement of intent.” Rosemond v. United States (2014). Any motive whatsoever, innocent or otherwise, can be used as evidence of intent, but rarely, if ever, can motive be used to disprove intent for purposes of determining guilt. From the defense perspective, as the Supreme Court observed: “Motives are most relevant when the trial judge sets the defendant’s sentence …” Wisconsin v. Mitchell, 508 U.S. 476, 485 (1993) (hate crime). Thus motive might affect punishment, but ordinarily not guilt, except for proving the element of intent or as circumstantial evidence for identifying the culprit of proven bad acts, which is not in question here. Only the intent of the known culprit of known acts is in question. In the end, Comey’s argument amounted to little more than an opinion about the success of such a “bad thoughts” case against Clinton. But it ignored that Clinton’s “bad acts” was all he needed to prove. Clinton’s connection to those acts, unlike the Sterling case, are virtually unquestioned. By cleverly diverting his legal analysis of intent to the issue of motive, Comey made an inherently arbitrary political distinction between motives that the administration can tolerate by its friends and motives it disapproves and will land someone else in jail. This is a violation of the rule of law which does not recognize such political preferences but rather defines a crime applicable to everyone irrespective of their friends in high places or the kinds of motives their friends find politically threatening or not threatening to themselves. This highly limited, solely evidentiary, role of motive in all ordinary criminal prosecutions is shown more clearly to be violated by Comey’s reference to the kind of “intent” that he said was defined by Justice Department precedent concerning “disloyalty to the United States; or efforts to obstruct justice.” “Disloyalty to the United States” was the imputed motive in the Sterling Case, for example. Obstruction of justice – evidence tampering – may have been Clinton’s actual motive, as discussed above. Such categories involving motives for committing a crime must be distinguished from the element of intent to commit the underlying crime of mishandling the nation’s secrets, and other government information. Whether the criminal conduct was done for reasons of disloyalty, obstruction, evasion of FOIA, convenience, corruption or any other motive is not necessary for proof of intent. These “fundamentally distinct concepts” of motive and intent are jumbled up here on Comey’s list of precedents together with his discussion of “intentional mishandling” or “intentional misconduct,” instead of focusing on the actual element of intent to commit the acts which constitute a crime for any motive or no objectively discernible motive at all. Comey’s description of the precedent he consulted thus appears to share a concern more about the motive of the accused to accomplish some specific purpose by means of violating the law, rather than looking to the intent simply to violate a law. Again, intent is an element of a criminal offense, but motive – with very rare and particular exceptions – is not. Comey has let Clinton off because he did not find evidence of a motive sufficiently objectionable by his subjective standards, even though under the relevant statutes catalogued below motive is not even an element of the crime that needs be proven at all. It is not necessary to unpack Clinton’s motives in order to convict her of the crime. It is not necessary to make out a bad thoughts case here because it is not a circumstantial case on the other elements of the crime. Clinton’s professions of innocent motive does not obviate that she had the necessary intent to commit the acts that constitute several crimes. Clinton said it was for this interest of convenience that she wanted to use only one communications device, which is a somewhat less suspect motive than an unprecedented and unauthorized obsession with secrecy. It was Clinton’s decision to put both “the personal” and the public information equally at risk through her insecure server rather than risk some disclosure of “the personal” to the internal processes of the State Department. This alternative motive raises questions about whether she might be hiding from the public (although not from foreign hackers) information as important to her as the nation’s secrets. An unnamed former NSA official familiar with the effort to get Clinton to obey the rules, now asks, “What did she not want put on a government system, where security people might see it?” She must have known that her own server was not only less secure than the government’s, it was also “less secure than,“ Google’s ordinary Gmail account, according to Comey. The alleged motive of Clinton wanting to use only one mobile device for convenience appears to be a lie in any case, because the FBI found she actually had used more than one device. Apparently, Clinton bought an iPad in 2010, just one year into her tenure as Secretary of State, while continuing to use her BlackBerry. If Comey’s sworn testimony does disprove Clinton’s convenience motive, that she wanted to have the personal and the public communications all on one device, then as the former prosecutor Rep. Gowdy pointed out to Comey, lying about her motives would be highly probative evidence of her intent. Rep. Gowdy contends, “if it were convenience Director, she wouldn’t have waited two years to return the documents and she wouldn’t have deleted them four years after they were created.” Comey made no coherent response to this statement. A person lacking any intent to break a law would not need to invent motives for breaking the law, in order to disguise other more nefarious motives. A person with no intent lacks the state of mind to have a motive. Satisfying the legal element of intent only requires that Clinton acted deliberately, not that she acted with an particular subjectively evil motive. Comey’s use of the term “willfully” in his “precedent” argument quoted above, as if it, like Comey’s subjective term “clear,” required some proof of motive, or a showing of such specific intent, is legally outdated. The Supreme Court long ago rejected the idea that, without more, the term “’willfully’ requires proof of any motive other than an intentional violation of a known legal duty.” United States v. Pomponio, 429 U.S. 10, 11-12, (1976). The sole question that “willfully” can raise is whether Clinton knew she had a legal duty not to “remove and retain” confidential or other national defense information, or otherwise mishandle the public’s information. It is not necessary to parse Supreme Court decisions to understand the fundamental difference between motive and intent that Comey confused. The distinction is embedded deeply in criminal law. A popular nineteenth century legal handbook edited by a Harvard law professor, for example, stated quite clearly that “motive with which an act was done is immaterial in deciding the question of criminality. A crime can be committed with a good motive…” “Motive may … sometimes be shown in evidence; but it is merely as evidence of intent. Motive must not be confounded with intent.” May’s Criminal Law (Beale, ed., 2d Ed. : 1893) 18. Comey, in violation of these black-letter law principles, precisely did “confound [motive] with intent.” Though we may not be able to speculate about more than a generalized political career motive for Comey’s doing so, we could conclude from the unprecedented circumstances and extraordinary errors recounted here that it was intentional. In saying that Clinton lacked sufficient criminal intent according to the precedent he described, what he was actually saying was that the FBI did not have clear evidence of the kind of motive that he himself found sufficiently offensive, but not that he was lacking what Congress required to prosecute her violation of the law. Comey’s argument, discussed further below, was that the unprecedented nature of the professed motives for a Secretary of State to commit the crime of systematically mishandling the nation’s secrets on matters of foreign affairs that were entrusted to her was an excuse for exonerating the crime. This argument does not provide a reason not to prosecute, although as the Supreme Court said it may be an appropriate argument at sentencing. But it would likely be another unprecedented feature of Comey’s approach to this case if such an argument were to be made by the prosecutor or the FBI at sentencing, rather than by defense counsel. Clinton clearly intended to give classified information to her lawyers who lacked security clearances, as well as to allow her uncleared tech support to have access. Comey had no good answer for such uncontested facts. Rep. Chaffetz asked Comey specifically about when Clinton gave “non-cleared people access to classified information… what do you think her intent was?” But Comey’s answer related solely to a possible motive: “to get good legal representation … to make the production to the State Department.” But Chaffetz accurately rejected Comey’s motive diversion in this instance, instructing him in Criminal Law 101, that “criminal intent [is] the idea that you allow somebody without a security clearance access to classified information. Everybody knows that Director, everybody knows that.” It proved his point that Chaffetz is not a lawyer. But the success of Comey’s fix depends on everybody not knowing that motive is not the element of intent. It was not Congress that created such a hierarchy of motives in the relevant statute, a hierarchy that would exonerate the unprecedented motives of corrupt elites but not the quotidian motives of those without such power. In order to achieve the political aim of exonerating Clinton, it was her executive branch political allies, on delegation to the FBI Director, who reinterpreted the law to insert a motive element of the crime, where none exists. Even more important than Comey’s consistent confusion of motive and the ordinary intent element of a crime is his related erroneous view of the amount of evidence needed for its proof. The fact of motive, being subjective, may be difficult to prove. The legal element of intent, once properly disentangled from motive, is nowhere near as difficult to prove as Comey wants us to believe. Again, it has been long established in criminal law that, “one [who] does an unlawful act … is by the law presumed to have intended to do it, and to have intended its ordinary and natural consequences.” Id. 19. That intent is presumed upon proof of the criminal act is why Comey wanted divert attention to motive. When Clinton arranged to have her public business conducted on an unauthorized private email server in her basement against the rules of the State Department, and therefore in violation of a number of federal laws – that act alone was sufficient to prove the intent element of the crime, the same as it would be for any mentally competent, sane, adult. The burden is on Clinton, not Comey, to prove by persuasive evidence that she peculiarly lacked the capacity to have the same intent any reasonable person would have in taking the actions she did. Comey therefore misled the public and Congress when he claimed that as a general rule prosecutors are concerned about “the strength of the evidence, especially regarding intent.” Contrary to Comey’s statement, intent is ordinarily the least “especial” element of a crime, since it is the only element that is routinely presumed. Comey justified his political fix by saying, “I don’t think our investigation established she was particularly sophisticated with respect to classified information.” A predecessor of Clinton as Secretary of State, her election surrogate Madeleine Albright, lectured her employees that “if you are not professional about security, you are a failure.” Even if the kind of ignorance and failure in dealing with the nation’s secrets that apparently persuaded Comey about Yale Law School graduate Clinton’s motive were ever to be believed by a jury, or anyone other than Comey, ignorance of laws (not to mention Comey’s new standard of “lacking sophistication” about laws) concerning such matters is normally not a defense. When Comey was challenged by Rep. Farenthold on this point that ignorance of the law is not a defense, Comey’s reply was that, however, “you must be aware of the generally wrongful nature of your conduct.” But that does not exclude the case of Clinton. Comey acquitted her because of lack of very specific knowledge about specific emails, not lack of general awareness, which he admitted, that her server would inevitably contain classified information if she used it exclusively for all her work as Secretary of State. Her ignorance defense would be even more difficult to sustain in view of signed documents where she acknowledged her understanding under oath, for example, that “classified information is marked or unmarked classified information.” This precludes, as knowingly irrelevant, Clinton’s public defense that any classified information found on her server was unmarked. There are some obvious exceptions to the general rule that intent is presumed, and evidence of motive therefore unnecessary to proof of the crime. Specific intent is occasionally required for such crimes as hate crimes, civil rights violations, and treason where evil motive is an express element of the crime. There are also some less obvious exceptions where “Congress may decree otherwise” by expressly adding a “willful” element for criminalizing “not inevitably nefarious” regulatory offenses, such as involving taxation, or “currency structuring.” See Ratzlaf v. United States, 510 U.S. 135 (1994). 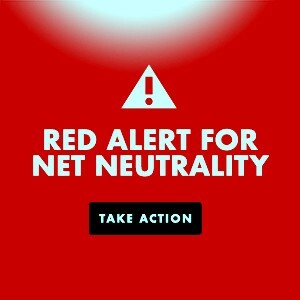 Neither has Congress generally created such a motive element for the laws intended to protect the government’s interest in secure communications, nor are such laws normatively neutral regulatory measures of the kind that do require specific intent because most people would not expect the ordinary conduct involved to be a regulatory offense. Moreover the government has not in practice treated these laws as requiring a nefarious specific intent in cases like the Deutch case, where the motive was similarly one of mere convenience, and nothing more. One writer who offers legal credentials as authority for rendering political opinion has supported the FBI’s decision to exonerate Clinton. He claims it was justified by “a legal concept called mens rea. As a general rule, most crimes require prosecutors to prove that an individual acted with a particular state of mind before they can be convicted of a specific crime.” First, this statement is misleading to the extent it suggests that “most crimes” require specific (“particular”) intent, or motive. As mentioned above, contrary to this assertion, very few crimes do. “As a general rule,” intent is presumed from the commission of the illegal act, and prosecutors have little concern about difficulties with proving intent. Second, criminal laws do not necessarily require prosecutors to prove intent. For example, a Florida drug-law was held constitutional that provided “knowledge of the illicit nature of a controlled substance is not an element of any offense under this chapter. Lack of knowledge of the illicit nature of a controlled substance is an affirmative defense,” meaning that the defendant has to disprove, or at least raise, the element of intent, with evidence sufficient to rebut the common-sense presumption that people know what is in containers they control, whether it may be illegal drugs or classified information. This statement, which reproduces the premise for Comey’s fix, but contradicts Comey’s sworn acknowledgment that only knowledge of “the generally wrongful nature of your conduct,” not such specific knowledge must be proven. Intent can be presumed from the act of setting up an insecure private communication process that would inevitably include routing classified materials and other materials about national defense and foreign relations through an insecure private server. Comey repeatedly acknowledged that a reasonable person would have possessed such general knowledge. No specific information about any one particular communication was required by any law. Unlike the Espionage Act, 18 U.S.C. § 793(a), which applies to anyone and not just public employees, those few laws that Comey selected as within the scope of the FBI inquiry regarding Clinton’s emails, such as § 793(f), do not require a specific motive or knowledge that the mishandled information was “to be used … to the advantage of any foreign nation.” Under § 793(f) the material itself only needed to relate to national defense, an element which does not concern motive but rather describes the kind of information protected by that particular statute. That statute does not mention classification. The statute concerning classification is 18 U.S.C. § 1924 which applies when “an officer …of the United States … by virtue of his office … becomes possessed of documents or materials containing classified information … knowingly removes such documents or materials without authority and with the intent to retain such documents or materials at an unauthorized location.” This statute does not apply to the general public who cannot be expected to know what officials can be expected to know. The public is protected by a specific intent requirement such as § 793(a)‘s. Similarly § 793(f) applies to a potentially even narrower group of persons, presumably also officials, who are “entrusted with” or have “lawful possession or control of” a national defense document. It is this statute that lowers the mens rea to gross negligence. Consistent with this rational statutory scheme, the higher the official, and the less comparable to the general public, the less entitled is a defendant to the protection of a specific or even general, intent standard. Knowledge can be more easily presumed of a high official entrusted with and in control of such information than of a member of the public. Clinton did not have “authority” for removing her materials from the State Department communications system and did retain them at an unauthorized location, which she did until she was forced to return them nearly two years after she left office. There is certainly circumstantial evidence of intent to retain and never return the material, had the existence of her server not been discovered. Asked about whether “keeping the servers at home … obviously is not in compliance with the department’s policies,” Comey answered “Yes.” In response to Rep. Buck’s proposition: “that [Clinton] knew that she didn’t have authority to have this server in her basement?” Comey replied: “Yes, that’s true.” Any reasonable person would have known that classified information would be “removed and retained” by Clinton’s secret server operation. Rep. Buck established this fact by asking: “as secretary of state, she also knew that she would be receiving classified information.” Comey replied, “Yes, in general.” On these facts general intent to commit the crime is presumed. No Precedent, or Bad Precedent? Representative Gowdy concluded his questioning by attacking the lack of precedent excuse that Comey gave for recommending against prosecution. Comey’s lack of precedent argument is about motive. It stems from the fact that no prior Secretary of State had systematically removed their communications including the nation’s secrets from the State Department to their basement where secrets were insecure. Over their lifetime of scandals and corruption, such as the engine for global conflicts of interest labeled “The Clinton Foundation,” the Clinton’s atrophied ethics have always tended to break new ground. The sleaze that led to Bill Clinton’s historic impeachment was also unprecedented. The fact that there would be no precedent for Clinton’s particular motive for secrecy does not immunize her criminal conduct in pursuit of that secrecy. Gowdy and Chaffetz turned the “no precedent” claim around against Comey, suggesting that instead of lack of precedent being an excuse not to prosecute, that Comey was himself making bad precedent by failing to prosecute on the ground of lack of intent. There is now no disincentive for Clinton or her staff or anyone else not to operate the same privatized communications system whether in the presidency or in any other high position of trust, provided they have the political clout to fix the FBI Director to abuse official powers as an investigator to usurp the role of prosecutor, alter the reasonable doubt standard, confuse motive with intent, forget the elementary criminal law principle that intent is presumed, ignore that it may be proven by circumstantial evidence in the rare cases where it does arise as an issue, and most importantly draw a conclusion in public that is not rationally supported by the evidence and admissions he made under oath. Comey reported only three possible charges that could have been brought against Clinton or her aides: intentional or grossly negligent mishandling of “classified information,” both felonies under § 793(f); and knowingly removing and retaining classified information, a misdemeanor under 18 U.S.C. §1924. Comey indicated that his recommendation was limited to “laws governing the handling of classified information,” although the statute governing two of his possible three charges, § 793(f), does not mention classified information. He failed to mention the various other laws implicated by Clinton’s mishandling of her emails, or by her false statements about it in various venues. The FBI did not record, transcribe, or take sworn testimony of, its interview with Clinton, probably the most consequential interview in the history of the FBI. Comey’s subjective judgment that there was no evidence that she made false statements to the FBI, a charge the FBI can usually gin up in such a case, cannot be objectively tested because the interview was so informal. Rep. Mica requested the “302” account of the interview made from agents’ notes from Comey and this must be made public, if only as concrete evidence of investigatory negligence. Since jeopardy has not attached to Clinton, Congress should set up a special prosecutor’s office with full investigatory powers who would, at minimum, conduct a proper interview, suitable to the profound importance of the case. Comey admitted to the Chairman of the House Oversight Committee that the FBI did not investigate lies told to the Benghazi Committee under oath on the same subject for the unbelievably “see no evil” technical reason that it did not have a “referral” from Congress to do so. Referrals are to apprise the enforcement branch of a possible crime. One would not think deference to Congress to initiate investigation of crime in its midst a legitimate excuse to screen out evidence of an element of a crime already under investigation within the Executive Branch. On hearing this excuse, Committee chair Chaffetz responded: “You’ll have one in the next few hours.” One wonders if the FBI will investigate the question whether Clinton intentionally lied to Congress as gingerly and at the same level of competence as the FBI’s first limited investigation, which even non-lawyers on the Oversight Committee were able to effectively criticize. Will the FBI also need a referral to investigate the other possible crimes committed by Clinton with respect to her email practices? These would include possible violations of 18 U.S. Code § 641 (one who “disposes of any record … of any department or agency”); 18 U.S.C. § 1030 (1) (exceeding authorized access to computer to obtain government information “unauthorized [for] disclosure for reasons of national defense or foreign relations”); 18 U.S. Code § 1512(c) (one who “destroys, mutilates, or conceals a record … with the intent to impair … availability for use in an official proceeding,” such as a FOIA proceeding, perhaps? ); 18 U.S. Code § 1519 (the same, evidence tampering, to “influence the investigation or proper administration of any matter within the jurisdiction of any department or agency of the United States,” like the Clinton Foundation charity conflicts of interest or bribery, perhaps? ); 18 U.S. Code § 2232 (“Destruction or removal of property to prevent seizure”); and 18 U.S. Code § 2071 (punishing one who “takes and carries away any record … in any public office”). Another matter raised at the hearings that Comey didn’t pursue was that Clinton may have had on her insecure secret server the names of covert CIA officers, the disclosure of which is a felony under the Intelligence Identities Protection Act. Bernie Sanders has been preoccupied with convincing his followers that the Democratic Party platform is relevant, by performing his new role in the Kabuki theatre of the corporate Democrats. He is too busy acting out a supposedly important public debate over the irrelevant platform to get involved in this real and personal “Servergate” example of impunity for plutocrats. Instead of leading his followers in calling for fair application of the law to his FBI-certified “extremely careless” former rival, he has now endorsed her for the Democratic Party nomination that was stolen from him, without effectively demanding party rules that would prevent current and future such election theft, and/or any other valuable bargaining chip in return. Stein is correct that Section 793(f) punishes anyone “entrusted with … information, relating to the national defense, [who] through gross negligence permits the same to be removed from its proper place of custody or delivered to anyone in violation of his trust, or to be lost, stolen, abstracted, or destroyed.” No one disputes that the FBI’s “extremely careless” and “reckless” factual findings, which Comey described as common-sense terms that mean “real sloppiness,” precisely satisfy this statute’s reduced intent standard of “gross negligence.” Comey explained that he did not want to apply these literal terms of a statute that reduces the ordinary element of intent to this lower standard. He instead asserted some institutional disagreement with the statute, although it matches the precise factual findings of the FBI and the law remains on the books to be used to intimidate others. This stand by Comey, if legally mistaken, would risk violating the constitutional obligation of the executive branch to “take Care that the Laws be faithfully executed.” (Art. II, Sec. 3). Unless Comey can now produce a cogent constitutional argument that Congress’ requirement of a lesser standard of intention in this statute governing specially trusted persons is a violation of due process, then his refusal to indict presents a separation of powers crisis. There is no governing precedent permitting the Justice Department, let alone the delegated FBI, not to enforce this law because it disagrees with it. Congress should either amend the statute to conform it to constitutional principles that Comey advocates or alternatively insist that it be enforced on pain of impeachment for failure to execute a valid law, so that the Supreme Court can ultimately decide the due process issue for everyone. Leaving an invalid law on the books after Congress has been formally told that the Justice Department refuses to enforce it is in itself of serious constitutional concern. Beyond the response of requiring the Justice Department to produce a fully articulated and convincing argument for unconstitutionality of the “gross negligence” standard to Congress, (with a parallel non-political review of the question by the Congressional Research Service), this gross negligence issue is something of a red herring from the real issue, that Comey has dodged by his confusion of intent with motive, changing the rules of evidence to devalue circumstantial evidence, inventing a new heightened standard for not “reasonable” but “possible doubt,” and ignoring the presumption of intent: the obvious existence of sufficient objective evidence necessary to present the element of intent to a grand jury. As Rep. Gowdy accurately pointed out, the problem is that Comey is “reading a specific intent element into a gross negligence statute, not even general intent.” In other words Comey is using the standard deception technique of setting up a false dichotomy, between specific intent, which none of the relevant statutes support, and gross negligence, which 793(f) supports. Comey is thereby trying to ignore the fact that what Gowdy calls “general intent,” which is the ordinary intent element of most crimes, can be easily proven by the evidence of Clinton’s conduct from which her intent to do something the law forbids can presumed or easily shown by circumstantial evidence. Comey has, in fact, invented his own statute that would require not just specific intent of some important factor, but specific intent with respect to each separate instance of mishandling of classified material rather than the general intent for a pattern and practice that any reasonable person understands would naturally result in the mishandling of classified information, which he acknowledged under oath to be the actual standard. No reasonable legislator would write such a statute out of the mainstream of criminal law principles. But if they had, maybe Comey would be right about just one thing. No reasonable prosecutor would use it. It is clear that by eliminating Sanders’ last best hope for nomination Comey has significantly changed the course of history and helped elect his future boss, of whichever party. Clinton’s history suggests that there is more to this deal yet to be uncovered. Rob Hager, a Harvard Law graduate, is a public interest litigator who filed amicus briefs in the Montana sequel to Citizens United and has worked as an international consultant on anti-corruption policy. He is currently writing a three-part book assessing proposals for ending the political influence of special interest money. The current eLibrary draft of the first part, Hillary Clinton’s Dark Money Disclosure “Pillar,” is available online. The Democratic Party Is Dead by David Swanson + Michael Hudson: Is the Real Scandal the Clinton Foundation? This entry was posted in All Posts News Politics and-or Videos, Crime, Crime and or Corruption, FBI, Justice or Injustice, Politics and tagged 2016 Election, Clinton Foundation, Emails, Hillary Clinton, James Comey, Loretta Lynch, Rob Hager. Bookmark the permalink. Rob, thank you so much for this article. Not being a lawyer it’s hard for me to put my finger on the things that concern me regarding these issues. This helps put it in perspective. Glad you liked the article, Gene, thanks for your comment. So for Comey to state that Clinton was irresponsible in her handling of sensitive material was incredibly hypocritical. 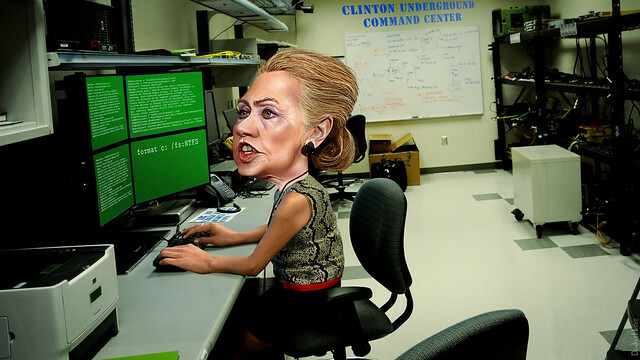 Her server was apparently more secure than the servers administered by Snowden and his peers. She at least had a personal interest in protecting the information. And what you are calling for here – persecution of a citizen for failures by others to protect classified material – seems a little Kafka-esque.